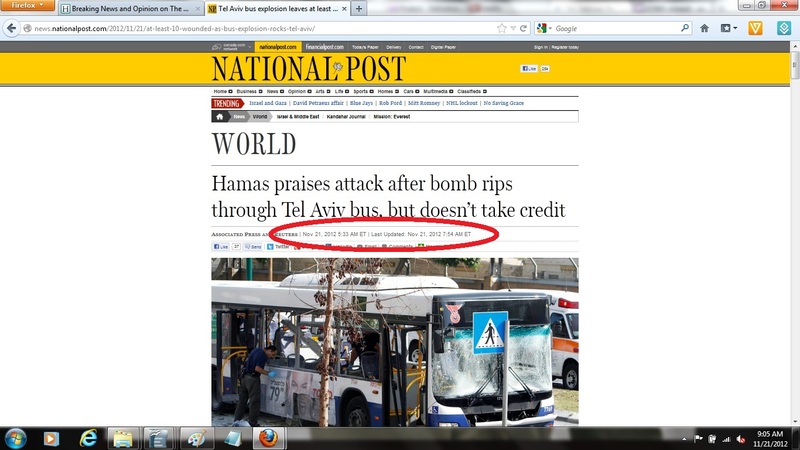 Starting at 5:30am, and by 8:00am EST on Nov. 21, newspapers and blogs that use AP as primary source published top-line stories of Tel Aviv bus bombing that included the Hamas official's praise and justification of this terror act. 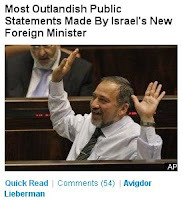 HuffPost's version of the AP story, however, which it did not make a headline, omitted the Hamas official's praise and justification, and falsely claimed Hamas had made no official statement about the incident. 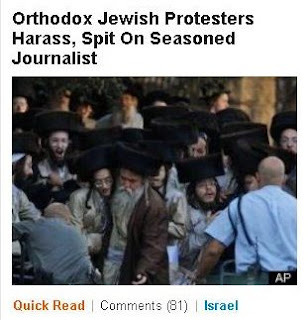 These are not isolated incidents or "accidents," but rather, are part of HuffPost's continuous pattern of protecting Hamas and effectively doing its PR --- while giving top-line, enduring coverage to stories containing inflammatory accusations against Israel and Jews that it knows (or should know) are untrue. By 8:00am, many other news sites and blogs, small and large, reported the AP story as-is, or reported other sources who had documented Hamas praising the attack, and even threatening more, including CNN, Fox News and Legal Insurrection (click to see screencaps). (1) From the time the bus bombing story broke (5:14am EST) to after 10:00am EST, HuffPost decided it was not newsworthy enough to merit its top headline. It didn't make the story its top headline until around 10:20am. (2) Until around 1:00pm, HuffPost's version of the AP story falsely claimed "There was no official comment from Hamas or Palestinian Islamic Jihad." 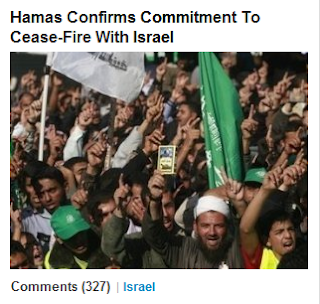 And even after HuffPost updated the story, around 1:00pm, to include Hamas's praise and justification, it never changed the headline --- nor did it post a separate story focusing on this fact. 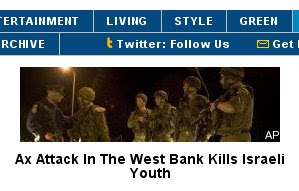 (3) This is part of HuffPost's continuing pattern of ignoring Hamas's threatening, then taking credit for and celebrating terrorist attacks on Jewish civilians --- yet giving front-page coverage to what it knows are proof-less allegations against Israel and Jews. (4) As HuffPostMonitor pointed out, HuffPost's headline generically described a "bus explosion" --- as if this bus just magically exploded, without any cause. This is part of HuffPost's continuing pattern of ascribing no human involvement in attacks on Jews --- when those attacks are perpetrated by Palestinians. Here is the proof that validates all of these allegations. (1) From the time the bus bombing story broke (5:14am EST) to after 10:00am EST, HuffPost decided it was not newsworthy enough to merit its top headline. 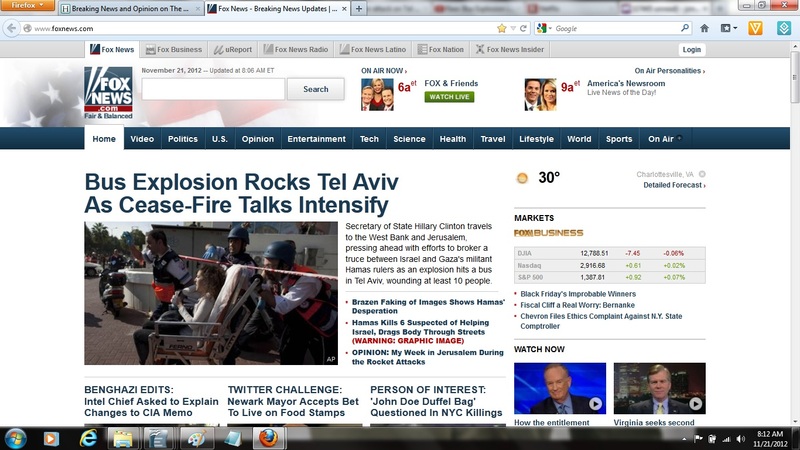 Note the subhead: "Bus explodes in Tel Aviv, injuring 10." While this might be an appropriate initial statement, the fact is that by the time HuffPost published this headline, it knew (or should have known) that this was no mere "explosion" --- it was a bombing. 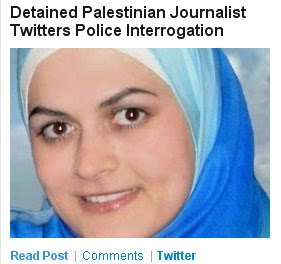 (2) Until around 1:00pm, HuffPost's version of the AP story falsely claimed "There was no official comment from Hamas or Palestinian Islamic Jihad." 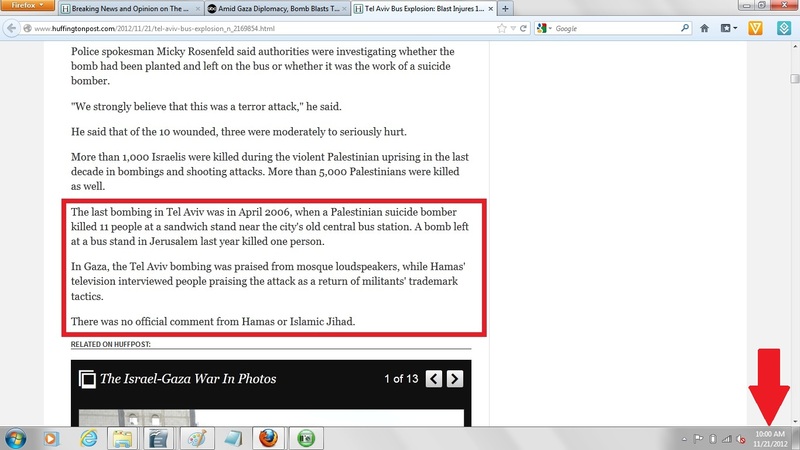 I found the bus bombing story at HuffPost at around 8:15am, and noticed immediately that unlike the other versions of the story being reported, HuffPost's version not only didn't feature Hamas's statements in the headline (or a separate story), it actually denied there were any official statements. "There was no official comment from Hamas or Palestinian Islamic Jihad." 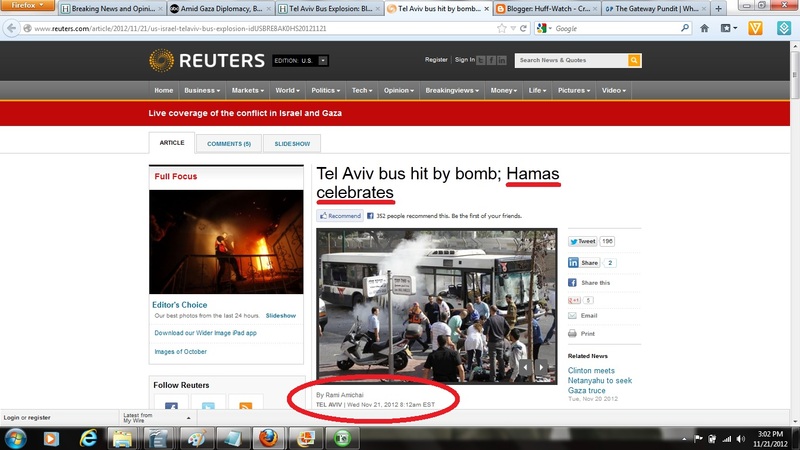 Why would HuffPost omit Hamas's praise for and celebration of the bombing from the story? 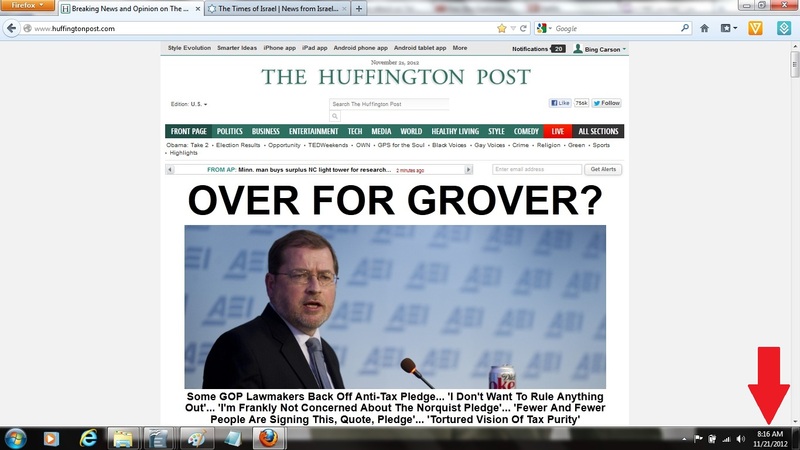 Only HuffPost's senior management can answer that question. You might ask them. If they refuse to answer, you might pose the question to HuffPost's advertisers, whose money makes this madness possible (except in the case of Cadillac, which is using our tax money to enable HuffPost). 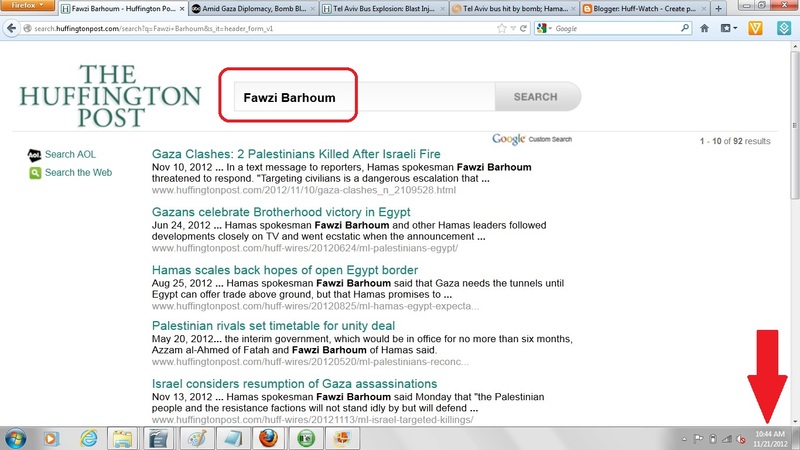 Examples of HuffPost ignoring Hamas threats, celebrations, etc. 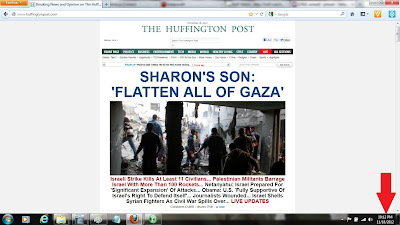 As documented here, HuffPost completely ignored this shocking statement --- and instead continued focusing all of its efforts on depicting Israel as the aggressor in the Gaza conflict. 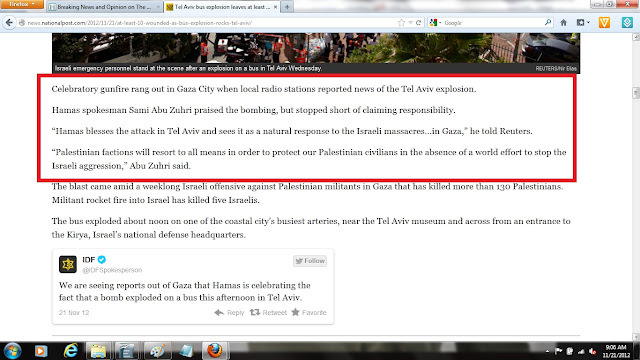 As documented here, in March 2011, when the Fogel family --- including their three-month-old baby --- were slaughtered in their home by Palestinians, HuffPost completely ignored the fact that Hamas and Palestinians were caught on camera openly celebrating, and taking credit for the grisly attack. See "Fogel family slaughter, evidence file," section 4. Whereas HuffPost ignores Hamas's outrageous threats and acts against Jews, it applies the exact opposite treatment to accusations against Jews and Israel that it knows (or has reason to know) are untrue, or severely decontextualized. 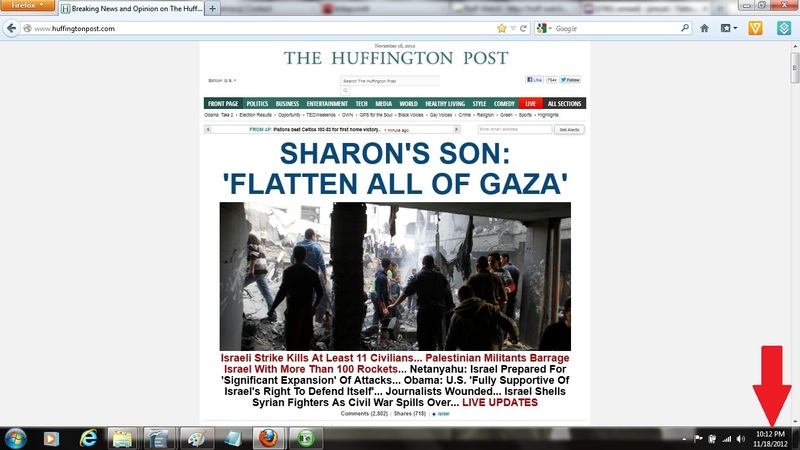 For example, on Nov. 18, HuffPost published as its splash headline, "Sharon's Son: 'Flatten All Of Gaza'." Why does Ariel Sharon's opinion merit any attention --- especially since HuffPost's own story acknowledges that he has zero policy role --- that his occupation is "manag(ing) his family’s farm in Israel"? 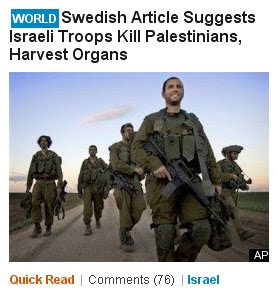 Then, there was the August 2009 story that HuffPost published on its front page, entitled "Swedish Article Suggests Israeli Troops Kill Palestinians, Harvest Organs." 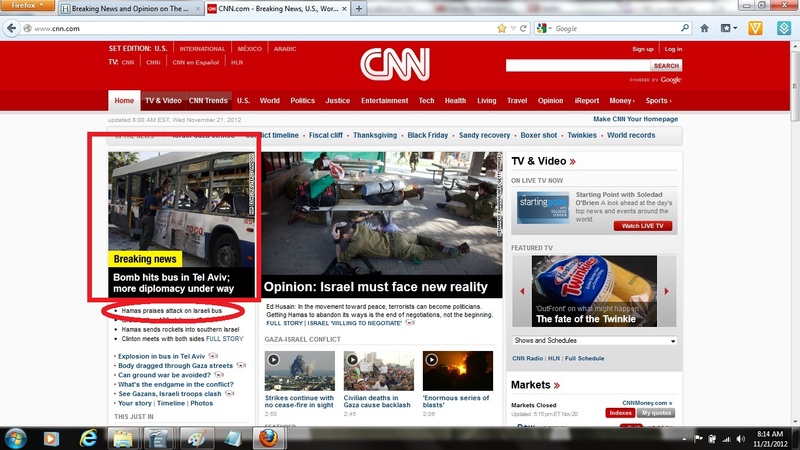 The Reality: This "news" story was false on a multitude of levels. Why HuffPost knew, or should have known the story was false/misleading: First, the story itself revealed that the "reporter" admitted he had "no idea, no clue" if the allegations in his "story" are true. Turns out the Palestinian family at the root of the story denied making these claims --- and basic fact-checking reveals that what is alleged is medically impossible. 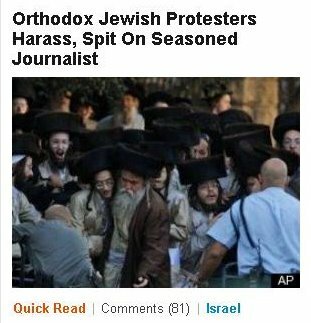 Did HuffPost's crack team of 53 "editors" fail to do any basic fact-checking into this age-old blood libel against Jews --- or did they ignore what they found? Whichever was the case, it didn't prevent them from matching this inflammatory claim with a picture of grinning Israeli soldiers, marching towards the photographer --- as if they're proud of committing the barbarity that the Swedish "article" (and HuffPost) accused them of. 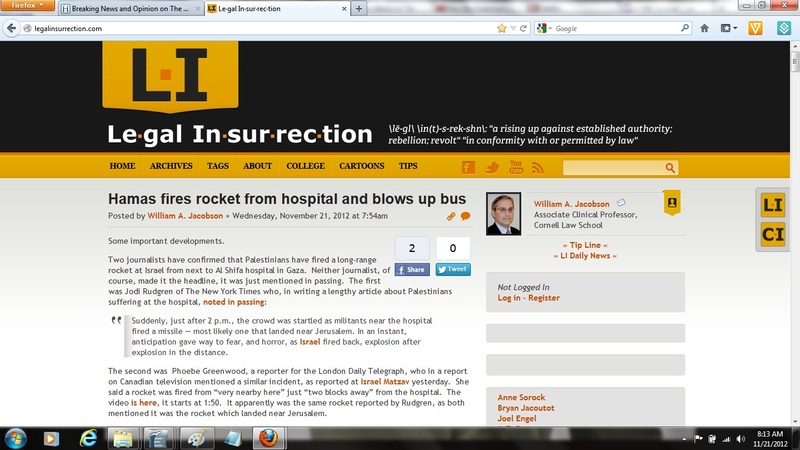 This false "news" story incited a torrent of hate-filled user comments against Israel and Jews, which HuffPost reviewed, approved and decided to publish. See complete documentation of this incident here. Has Arianna been lying since 2005 about HuffPost's bias, and mission? It seems so. 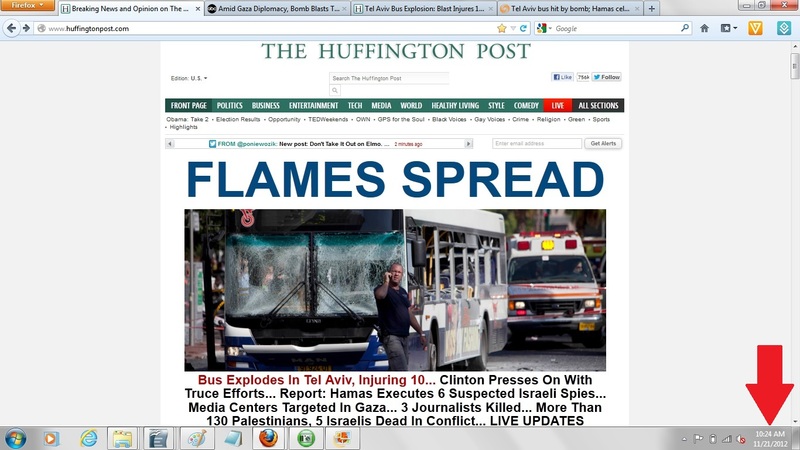 (4) As HuffPostMonitor pointed out, HuffPost's headline generically described a "bus explosion" --- as if this bus just magically exploded, without any cause. This is part of HuffPost's continuing pattern of ascribing no human involvement in attacks on Jews --- when those attacks are perpetrated by Palestinians. 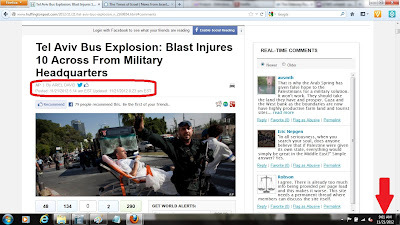 For example, as documented here, in 2009, when a Palestinian used an ax to murder a 16 year old Jewish boy in Israel, and maim his younger friend, HuffPost claimed only that this was an "ax attack" --- as if axes, like buses, can magically hurt Jews without any human interference. (1) HuffPost updated the story at about 1:00pm to include the full, unedited version, including Hamas praising and celebrating the attack. 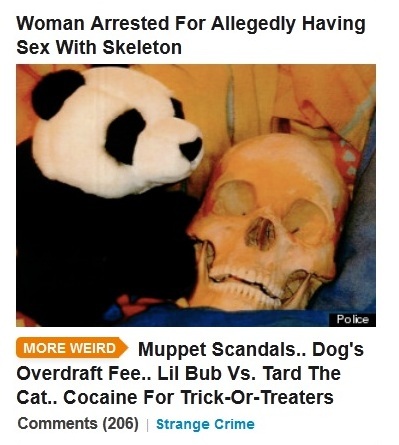 (2) But HuffPost completely removed the story from its front page – so one would never know the reality, if they relied only upon HuffPost for its news. How do we know it removed the story? Because we took a full-page JPG of the front page. 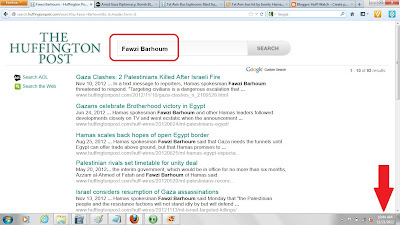 (3) HuffPost also completely ignored the recorded evidence of Hamas openly celebrating the bus bombing, and stating, “God willing, we will be seeing black body bags.” GatewayPundit, a one-man blog, posted the story at 1:13pm. 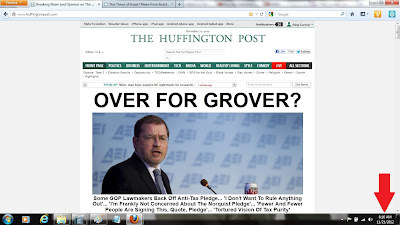 As of this writing (8:00am, Nov. 22), HuffPost has still not published this story.